Laws against Holocaust denial are perhaps the best-known manifestation of the present-day politics of historical memory. 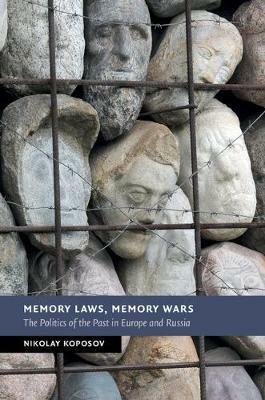 In Memory Laws, Memory Wars, Nikolay Koposov examines the phenomenon of memory laws in Western and Eastern Europe, Ukraine, and Russia and exposes their very different purposes in the East and West. In Western Europe, he shows how memory laws were designed to create a common European memory centred on the memory of the Holocaust as a means of integrating Europe, combating racism, and averting national and ethnic conflicts. In Russia and Eastern Europe, by contrast, legislation on the issues of the past is often used to give the force of law to narratives which serve the narrower interests of nation states and protect the memory of perpetrators rather than victims. This will be essential reading for all those interested in ongoing conflicts over the legacy of the Second World War, Nazism, and communism.